Adobe Acrobat Reader is a free program required to view the above files. Click on the link and follow the directions on the Adobe web site to get your copy of Adobe Acrobat Reader. 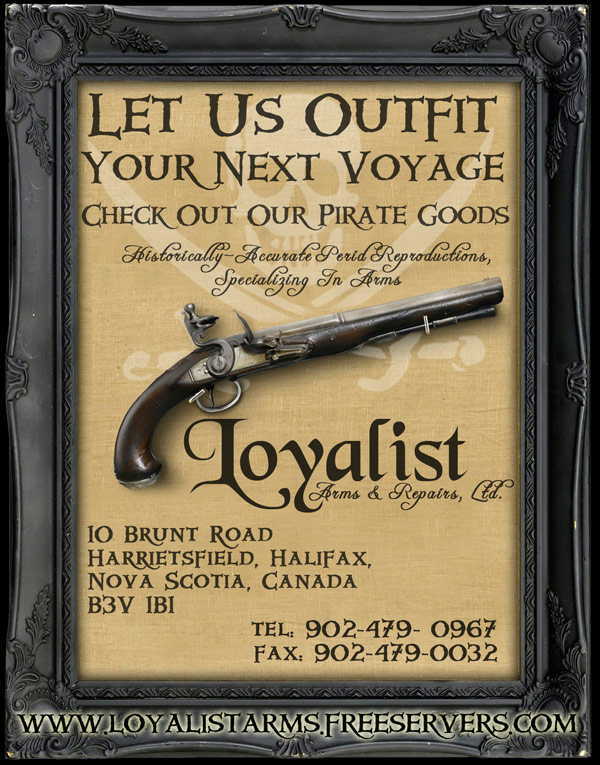 Another new and exciting offer from Loyalist Arms & Repairs!! We have found a reliable supplier for reasonably priced flints and have become the distributor for this domestic supplier. These Chert flints are hand knapped in the USA! Tired of having to pay inflated prices for unreliable supplies of flints? We have been looking for a more economical way of getting good quality flints into the hands of our customers, and thses flints are the solution. These flints have been tested and it has been found that they are very close in quality to the most excellent French Amber flints, and actually out-perform the English knapped flints. These flints are usually a dark to light gray, to almost white in color. Their chalky color can fool you though becasue they are anything but soft. As these flints start to erode and wear down during normal use, they tend to retain their rough, sharp edges, giving them a longer sparking life than the English flints, which start to dull off after several strikes. Our testing has found that the longest lasting flints were often the French amber flints, however, for a fraction of the price our chert flints were a very, very close second during these trials. Our American CHERT flints are available in the following sizes: 1 1/8" , 1" , 7/8" , 3/4" & 5/8". All size flints retail at the same price! Wholesale pricing available. Since we are the distributor of this product, we also have excellent wholesale pricing to dealers. Minimum order: 200 flints (In minimum quantities of 50 per size), for wholesale pricing to legitimate dealers.